William Alfred Fothergill was born on 14th December 1896 and baptised at Christ Church in East Greenwich on 31st January 1897. His father, Alonzo Benjamin Fothergill was born in 1897 in Devonport and his occupation was engineer. (Given his place of birth, he probably had a dockyard connection) Alonzo had married Lilley Bailey in Greenwich in 1887. William Alfred Fothergill – photo by permission of Rugby Library. At the start of the war Private William Alfred Fothergill was one of the members of the Rugby Infantry Company “who responded with such promptitude to the summons on Tuesday night, about 100 going by the first train and 40 by the next” as reported in the Rugby Advertiser of 8th August 1914. He arrived in France on 22nd March 1915. “ STILL SMILING ” THOUGH UNDER SHELL FIRE. DEAR SIR,-We now take the pleasure of writing a few lines to your paper to let the people of Rugby see we are getting on all right. We shall be glad to see old Rugby again. I must say we don’t get the chance to go to The Empire second house. Well, we must not grumble ; we are out here till it is over. I am sorry we have lost a few of the boys, as you have put in your paper a short time ago, and we are all very sorry to lose such good chaps. I am sure we shall get our own back. We have now taken over some trenches. I can tell you we get plenty of shells flying round us ; there are plenty flying about while I am writing this letter. . . . We have been against the Rugby Battery, who I am sure have done some very good work. What we have seen very good. I am sorry to say it has been very wet this last few days. It makes the trenches very bad. Never mind, we still keep smiling, but I must not say we are on a picnic—it is not a very nice game to play.—Wishing you and all at Rugby the best of luck, from two of the boys. “ C ” Co. late “ E ” Co. Private William Alfred Fothergill (Regt. no. 2020) died on 28th August 1916 and is remembered on the Thiepval Memorial. He is also remembered on the Croop Hill Memorial in Rugby. * Private Aland (Regt. no. 2236) was wounded on 19th July 1916,suffering multiple gunshot wounds to his arm and right side. After a long spell in hospital he was discharged from the army in November 1917. 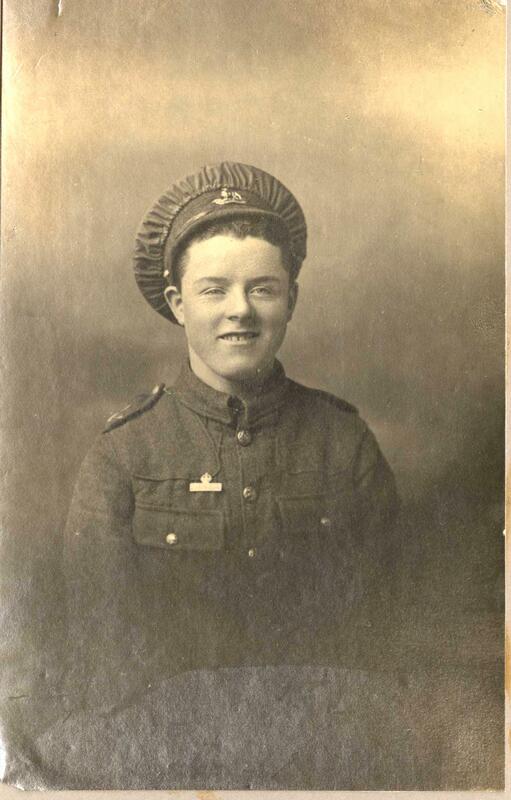 This entry was posted in Biography and tagged 1916, Aland, Battle of the Somme, Fothergill, Greenwich, Royal Warwickshire Regiment by Christine. Bookmark the permalink.